Persistence pays off. 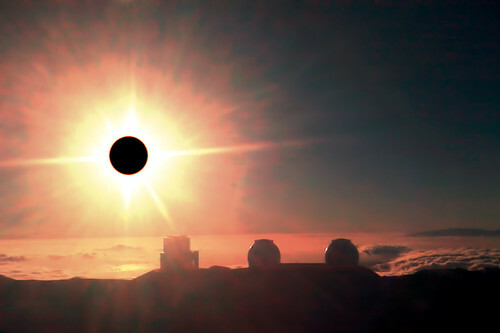 It is a LONG drive from Kailua-Kona to the Telescope row on top of Mauna Kea. Nearly 3 hours each way. I made this trip 3 times now. The first time was to scout locations. As I was setting up the camera it grew dark. Everything seemed to be in order but I realized that I *didn’t* bring my interval timer with me, so I pulled the plug and hiked back to the car. The next day I went back and set everything up again. In retrospect, I spent so long fiddling with the unit to make sure my attempt wouldn’t be in vain that I could have set the timer to start about 40 minutes earlier in the evening. 8 Hours of Exposures on Mauna Kea powered by my "Beefy Battery Solution"
I was also conservative. I configured the timer to take 160 exposures (at 3 minutes each) because I knew the daylight would come and overwhelm the shot. But again, I could have added another 20-30 minutes of exposures and perhaps gotten some interesting color in the twilight. While the experiment was a success I clearly bumped the focus after getting everything set up so it was not as sharp as I’d have liked. Still, 18 hours of set up were worth it, I think. Maybe. When Star Trail Academy launches, the gear and techniques used here will be what we teach. In fact, at our next workshop, we’ll even supply the mountain (but not this one). 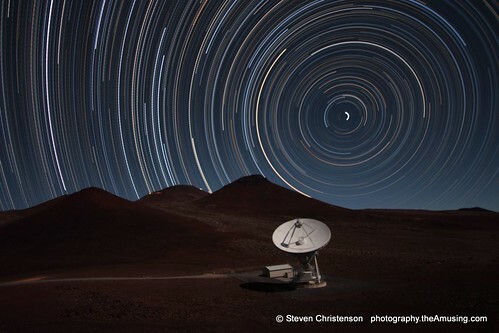 This entry was posted in Image and tagged hawaii, high altitude, long exposure, mauna kea, stacked star trail on August 2, 2010 by Steven Christenson.